When my son’s kindergarten teacher said to me ‘I think its because he’s gifted’ that’s all I heard. I was in car line and honestly wanted nothing more than to peel out to get home to tell my husband – she thinks our child is GIFTED!! It wasn’t until years later, reflecting back, that I realized she had just given me a laundry list of bad behaviors – something we had been dealing with all year, that preceded the words ‘I think its because he’s gifted’. It would take me a long time to put these puzzle pieces together. The next few weeks another mother, finding out that my son had been labelled gifted and being much further along on her journey than I, started chatting me up in the corridors while we waited for our kids to get out of school. “CHALLENGE my child” she would complain, often loudly enough that I felt embarrassed. “Why doesn’t anyone provide any services for these kids?” she would lament in front of others. She was vocal. She was in the faces of the teachers, and the administrators, she didn’t seem to mind what other people thought when she said her child was gifted. I was concerned about how I looked to others, I didn’t want people to think I was bragging. I didn’t want to stand out and be noticed and be vocal and loud. I didn’t want to be ‘that’ mom. Instead I quietly watched as my son made it through kindergarten (whew). Then in first grade, every day was a ‘how was his behavior today?’ day. In second grade I found myself trying to explain to his teacher why he was refusing to write anything on his math tests – “just give him harder work” I pleaded (oh, I’m starting to sound like ‘that’ mom). He was moved to a ‘gifted classroom’. The rest of second grade went by…we made it (whew). Third grade was the same old story. Every email, every time my phone rang, my stomach sank with dread. When I was faced with ‘yes, he is being called names, yes, he is being excluded and yes, he is being laughed at but, really, he brings it on himself’ I tried to work with the teacher and with my son to see what we needed to change. When I met with administrators and I could see their contempt for my child dripping from every word that came out of their lips, I tried to make them like me – maybe if they liked me and knew that I was trying really hard they wouldn’t be so hard on him. When I saw my precocious, energetic, confident 8 year old start to turn pale, have crying spells for no reason, start to retreat into himself and not want to talk to anyone, I was terrified. When I saw that same child come home from school with a fury of energy and “build” his own library in his room, complete with library cards for every member of our family I was elated! I came to find out that the librarian at the school had offered to let him spend some time there every day – reading and shelving books. He was on cloud nine. But then his teacher insisted that the only way he was going to be allowed to take advantage of this offer was if his behavior was 100% perfect – not one complaint. And of course, he never got to go. Ever. Again. That’ll teach ’em. What no one seemed to understand was that he needed something different. He is wired differently. He wasn’t able to do what they needed him to do because they weren’t giving him what he so desperately needed. We ended up pulling him out of school. Man I wish I could have been ‘that’ mom – her kid is still in school. She is doing something right. She is so much braver than I was. So if I could offer up one trick that I wish I known from the beginning, one tip that could have saved us all so much heartache or one tool that I know every parent of any child who is different – any parent of any child at all, needs to have in their arsenal, I would say to be brave. Be more brave than you ever thought possible. Be the brave that you imagine you would be if you had to go up against 400 pound black bear to protect your child. Be the brave you are when you know, in the deepest pit of your soul, that you could lift a 16 wheeler and toss it the length of a football field if it meant that your child would have the opportunity to live the life that you wanted for them. 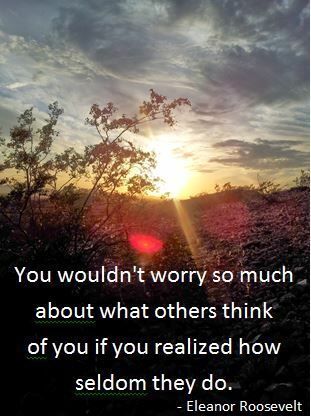 Don’t worry about what other people think. Be bold and courageous and brave. Be that mom for your child. This article is written as part of the May 2014 Gifted Homeschoolers Forum Blog Hop. Click on the graphic below for more Tips, Tricks and Tools for Gifted/2E Kids. Posted on May 19, 2014, in Education, Gifted children, Gifted education, Homeschool, Parenting and tagged Education, gifted children, gifted education, Grade skipping, homeschool, homeschooling, modern homeschooling, should I homeschool, Your Gifted Child. Bookmark the permalink. 22 Comments. Bravery! Yes, that is what we all need, and we need to be reminded of this, too! Being a champion for your child also models for them how to handle tough situations. Bravery is a win-win! Thanks for your wonderful wisdom! Modeling is another fantastic reason – I do hope my children can grow up to be brave 🙂 Thank you! I think the author is very brave. Pulling your kid from school is NOT taking the easy way out. Knowing that YOU will now have to challenge them day in and day out, figure out what their strengths and weaknesses are and cater to them… THAT requires a great deal of bravery. I, too, have gifted children, and they make me very proud, but they also know exactly what to do to push Mom’s buttons. Make no mistake, gifted doesn’t mean more mature or better behaved, it means that they are INCREDIBLY smart, and therefor easily able to work out what will work in their favor. So you not only have to challenge them academically, but you have to be able to withstand their challenges to your rules, morals, temper, etc. It is not an easy road, but it IS a worth-while one. If we knew then what we know now. Hopefully your words will hit someone in time to lessen their frustration. Thankfully, we discovered before our kids were too far gone. “Too far gone” – something I have only come to understand since I’ve been homeschooling and had the pleasure of watching them ‘heal’ and ‘come back’. Is it too dramatic if I say that I feel like I almost ‘lost’ them? Being *that* Mum, yes. Yes, again. Yes an infinite amount of times. Perfectly put. As the parent of 2 adult gifted children, and a gifted specialist for nearly a decade, this article makes me sad. I have felt what Jennifer is expressing, and seen it in so many parents. What Jennifer suggests about being brave is true, but it makes me sad that advocating for what is right, just, and needed for our GT children to thrive calls for such measures as super-human bravery. What has happened to the idea of a “least restrictive environment”? Shouldn’t that tenant hold true for ALL learners? Our education system is so concerned with homogenizing itself that it has lost the ability to individualize anything for anyone. You are right – it is sad…and its not just gifted students who are suffering! When we started home schooling I found that a whole area of stress was removed when I did not have to debate and advocate for necessary provisions. I think the author was very brave, pulling her child out of school. 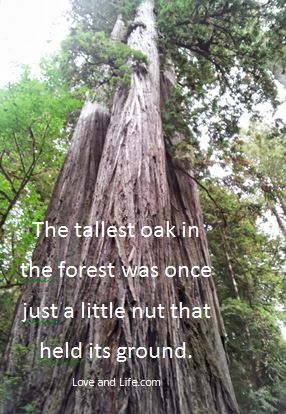 It takes courage to go against the norm! We did the same thing with our daughter after first grade and it was the best decision I have ever made as a mom. Oh my, I so wish I had had things like this to read when my kids were in school. This story was mine. My kids are in college now, thank goodness, because k-12 was a nightmare. The worst was the teachers tried to make me feel like we were the only family in the world going through all this, and because the internet wasn’t what it is today, I couldn’t find support or information to counteract what I was being told. But I did become strong for my kids and now advocate for gifted kids in my state. Even so, my older son was damaged emotionally, and according to one psychologist who analyzed him in elementary school he was verbally and emotionally abused by some of his teachers because he was different and gifted. I tried my best to get his needs met, but my efforts didn’t help. Thanks to a wonderful psychologist my son found in college when he realized he needed help in overcoming everything that happened to him, he is recovering. I am starting to notice traits he had as a little kid but lost during his school years finally coming back in his young 20s. Thanks for writing this so other parents know they are not alone. My heart breaks hearing your story – I see things in my now 10 year old son that are coming back – things he used to do/be like before school. I can’t imagine having to wait another 10 years. I’m so glad he’s getting what he needs now and is healing 🙂 And I do consider myself fortunate – there are amazing support groups and people on the internet who truly understand…thank you for reminding me of how lucky I truly am! Sadly, our story sounds SO very similar. One significant difference with my 2e kiddo was that the K teacher insisted that there was no learning difficulty nor giftedness, just an average little boy with a poor attitude (and poor parenting, of course). It does feel good to hear a story so similar; sort of validating (which might help someone to be brave and determined). So, thanks. I understand your negativity Cyndy, sometimes I feel the same way. The gifted are a very misunderstood population and, by their nature, a small one. Add to that what people hear when you try and advocate for them – ‘wait, so your telling me your kid is too smart to sit through school? Get a real problem’. And with a 2e child, sometimes their learning disability not only masks their giftedness to untrained teachers, their giftedness masks their learning disability, so they are label a difficult child (which is ALWAYS the product of poor parenting right??). The schools are strapped for cash and the plight doesn’t always come across as very sympathetic…negativity may be warranted. I see the solution being in advocating for a school system that treats all children as individuals, that differentiates all learning. I believe we have the technology to make that happen now, but we’ll have to convince a very large, very old bureaucracy to change (not easy). “a fiscal problem” – yes!! That is how we felt…wanted for our test scores but not if it meant spending extra money to accommodate the quirks or sensitivities.